Children at Risk from Fianna Fail’s scorched earth – Fergus Finlay says an election is a necessity. Talking to by friend Fergus Finlay today, he was very angry about the state of the country. The consequences for Bernardos and the Children they serve are very severe. He will have to crushing task of making people redundant for lack of funding. 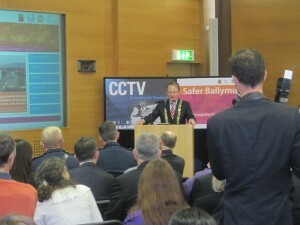 Launch of the the security cameras in Ballymun which have gone live. 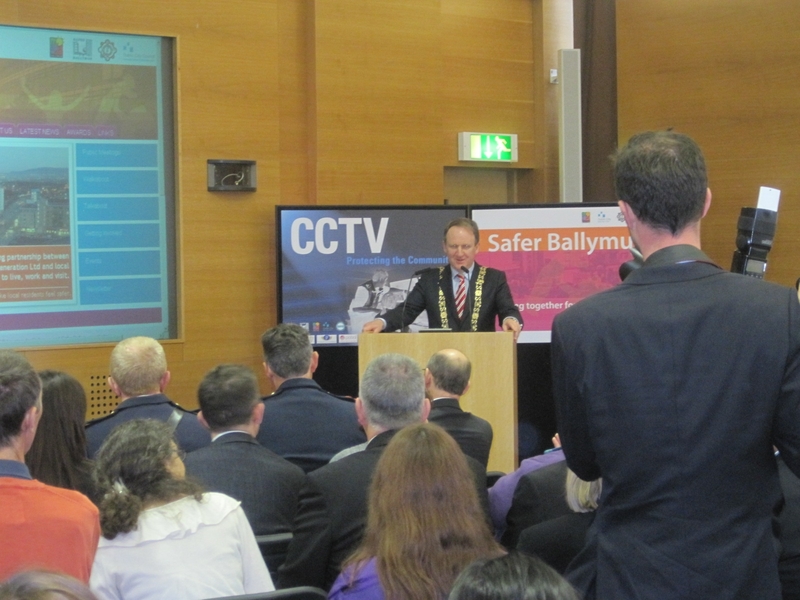 These will heighten the security of the people and should prevent crime. I am in favour of increasing our relations with China. Getting closer to Bejing is part of that. Chinese language in schools is another step we should pursue. tertiary care hospitals with no A&E service. intensive care unit, a highly efficient day care unit which might turn over patients two or even three times a day and a nearby basic hotel. Oncology and cystic fibrosis need separate units because of infection issues. All Dublin surveys omit the vital factor of a basic hotel, “Holiday Inn” standard, on site. To-night I received the following pithy message on Facebook. As you all know, I am opposed to this entirely. I have a motion down on the City Council agenda to bin the January changes except for the gap between Capel St and O’Connell Bridge on the quays. That is as much as I think that Labour will vote for. Any of you who get tickets for speeding at 25 mph – look to the sky and think of Montague and Labour. I will lead the Coalition for Common Sense. I had hoped the Gardai were on board but maybe that is too much to hope for. categories. Reasonable or strident. I have posted two. You can judge for yourself. Some people don’t like satire. Come back Jonathan Swift, the Lilliputians are on the march.